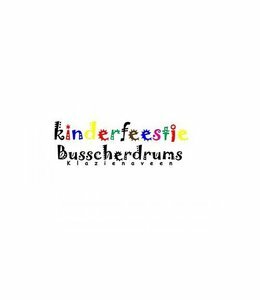 Kid at Busscher Drums Klazienaveen are a welcome change in the existing range of possibilities. The children are treated to a musical journey through the world of percussion. Led by percussion teacher Henk Busscher begin the trip with a short performance, then an exploration in the percussion angle. The origin of the drums in Africa, Asia and America is discussed. Itself as try and then to the Latin American percussion. Then all the children a spot on the drum stool behind the drum kit on the stage provided in the spotlight, which is closed with a real Busscher Drums solo. Then there is a demo electronic drums and samplers, and the kids may also feel this new toy. In the break there for everyone a bottle of soda or juice with sweets and crisps. For accompanying parents is satisfactory as coffee or tea. After the break continues with a djembe workshop where children and parents can play to their heart's content. The workshop ends on request in a +/- 15 minute presentation where invited all the parents of the children and then can return home with their own children. The latter is of course also possible without the presence of the parents. One acquainted with DJ gear. • The cost for a child are € 125, - for up to 10 children. Each child over 10 = € 11.- Xtra this cash to meet all of the children's party. • There are opportunities to give the children a present to commemorate the musical party.